As I discussed in a previous post, Mayo Clinic’s organizational DNA has two interdependent strands, Revolutionary Organization and Networked Communications, connecting the base pairs of Teamwork, Altruism, Progress, and Stewardship. In future posts, we’ll discuss how Networked Communications were integral to both the functioning of the Mayo practice and to spreading the word about its accomplishments. First, however, we should attempt to fully appreciate its revolutionary nature. In the last half of the 19th century, the idea of a private group practice in which teams of specialists worked together for the good of the patient was inconceivable. Solo practice was the norm, and there was no formal recognition of medical specialties. Mayo Clinic's primary value, "The needs of the patient come first" is a shorthand adaptation of the first bolded statement above. But this isn't simply a customer-service slogan like, "The customer is always right." It's not merely about respecting patient preferences and opinions, important as that is. It's not just that we want them to be happy with their experience (we do! ), but that we would do the most good for them...that we would best serve their interests. The rest of Dr. Mayo's quote provides the thinking behind the organizational model he saw as necessary to ensure that the patient's best interest would be Mayo Clinic's singular focus. The fundamental point: No individual could know everything required to ensure that the patient received the best diagnosis and care, so it was essential that we have a team of specialists working together to get the right answer for the patient the first time. You can learn more about Mayo Clinic's role in the development of specialization in Caring for the Heart: Mayo Clinic and the Rise of Specialization, by W. Bruce Fye, M.D., a retired Mayo Clinic cardiologist and former president of the American College of Cardiology. 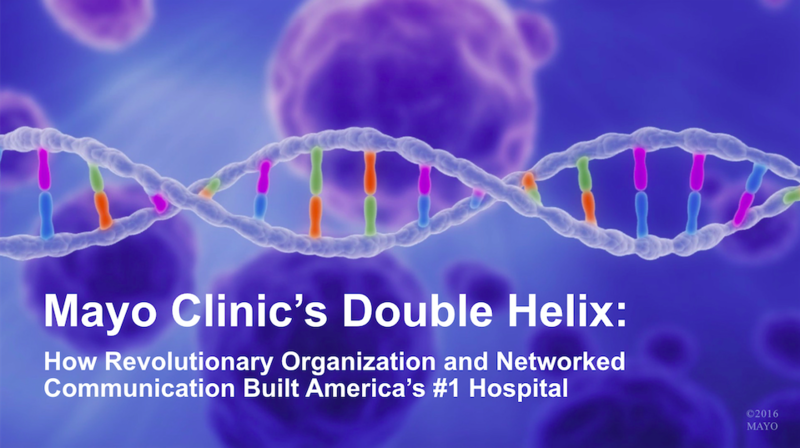 This revolutionary patient-centered organization has defined Mayo Clinic for more than a century and is represented by one strand of our metaphorical cultural double helix. Networked communication is the second strand and in my next post, I'll look at some of our internal networked communication applications that have enabled the Mayo Clinic model to scale, effectively harnessing and applying our specialists' expertise to the more than 1.3 million patients who come to us for care each year. 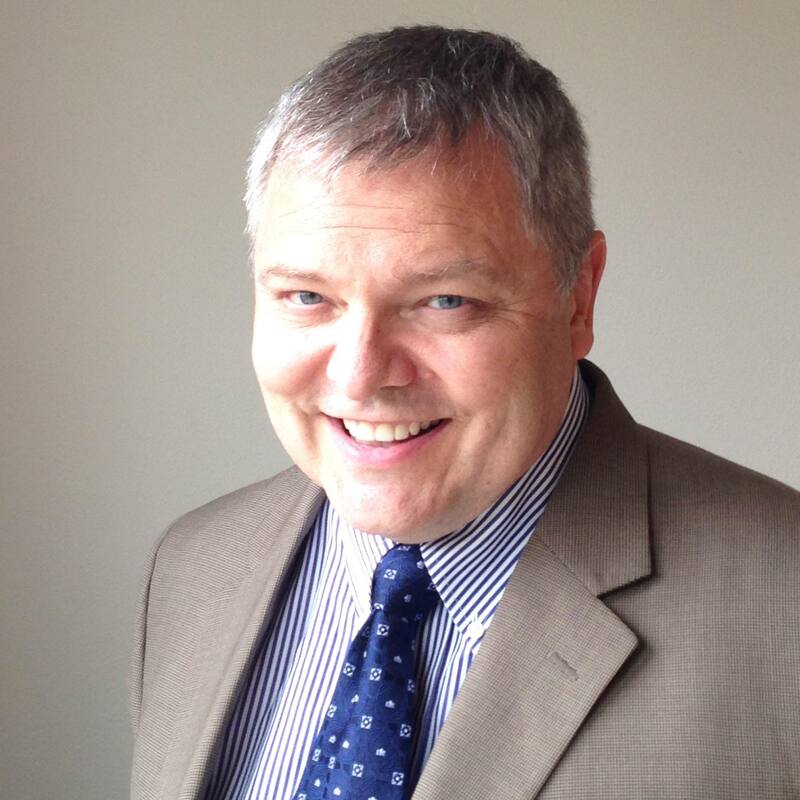 Lee Aase is a Communications Director for Mayo Clinic's Social & Digital Innovation team and is Director of the Mayo Clinic Social Media Network. 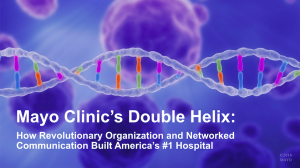 This post is part of an extended series called Mayo Clinic's Double Helix: How Revolutionary Organization and Networked Communication Built America's #1 Hospital. This quote, with perhaps the addition of “IT worker, could be the cornerstone of our healthcare system today.